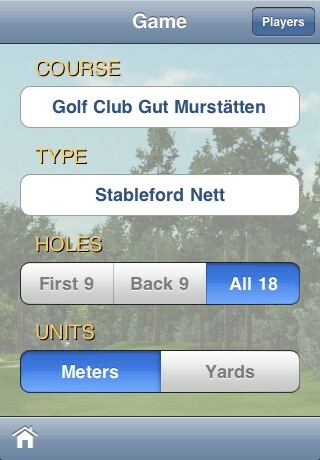 Digital Caddie is electronic scorecard including unique visual features like Fly over Hole or Simulation of Ideal Play for any golfer playing at Golfclub Gut Murstätten in Austria. Photo maps for top view, videos for fly over and simulation of ideal play are generated from detailed and accurate digital 3D model of the golf course used in golf simulator. 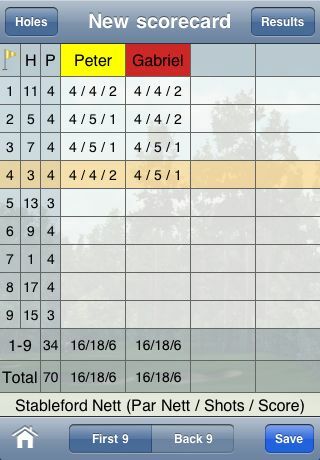 • Electronic scorecard for 1-4 players including games Stroke, Match, Stableford (Gross/Nett). • Top view with zoom in/out, terrain elevation and distance measuring (yardage) using GPS/manual positioning (GPS positioning is not supported on iPod touch). • Fly over hole, full screen videos seen from aerial (bird’s eye) view. • Simulation of ideal play, full screen videos with shot information. Please visit www.datacrea.sk for more information. Other Apps by Datacrea s.r.o.